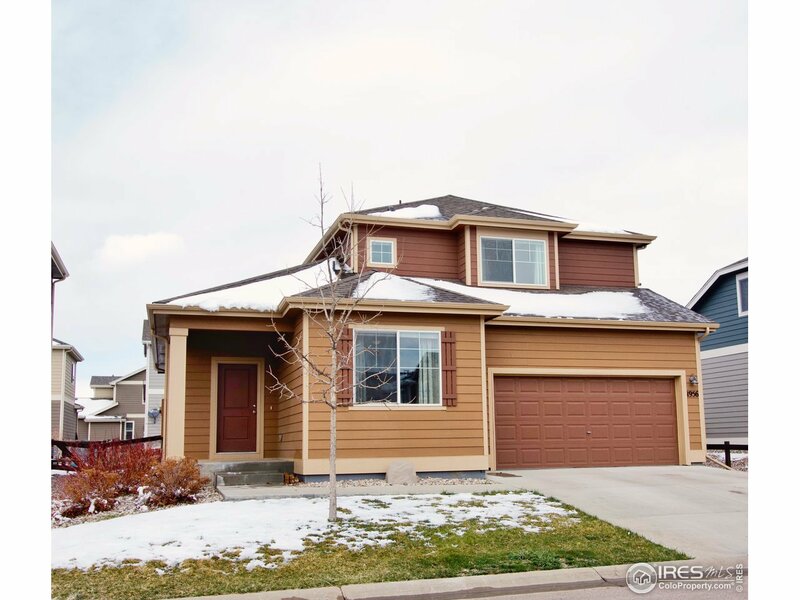 This beautiful home has 3 bedrooms, 3 baths, PLUS 3 car tandem garage. Move in ready! Open floorplan featuring wood floors and main level office. Kitchen includes all ss appliances. Master bedroom w/large walk-in closet and ensuite bath. Laundry area upstairs. Fully fenced backyard, w/sprinkler system. Located near downtown Fort Collins and I-25. Quiet community w/private clubhouse, exercise facility and well-kept pocket parks.